What can you tell me about dental insurance? 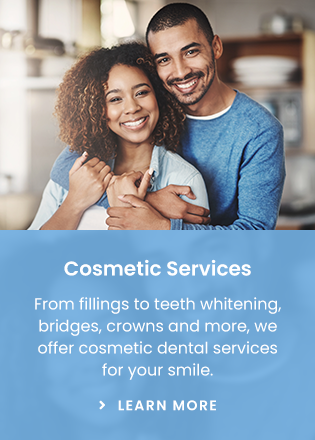 Dental insurance at times seems complicated and impersonal, but with a little background about how things came about, it becomes easier to understand how the dental insurance system of today works. I learned about the history of dental insurance mostly from my great uncle and some from my dental school experience. My great uncle, Manfredi Parisi, graduated from University of Southern California dental school in 1926 and set up a dental practice in downtown Los Angeles that same year. In 1932, he went belly up because of the depression, and herded sheep until World War 2 started. He tried to join the forces but had some medical problems so began working in dentistry again in the private sector in 1942. In 1942, he began working for a large insurance company that was providing dental services for some of the aircraft manufacturing plants in the Los Angeles area. In Los Angeles in WW2, there were a variety of aircraft manufacturers who were competing for workers. The government decided it was very inefficient for aircraft workers, especially trained ones, to constantly move from one company to another for another ten cents an hour of pay. So the government equalized the wages for all of the aircraft workers and forbid the manufacturers in the Los Angeles area to attract workers from other manufacturers with the lure of higher wages for the same work. This opened the way for the aircraft manufacturers to try to attract workers from their competitors with other incentives. Aircraft manufacturers found that absenteeism due to health reasons was a significant drain on production of aircraft. As well, they were attempting to attract workers from the floors of their competitors’ workshops by means other than wages. It seemed a perfect fit to place first medical and then dental facilities at the manufacturing plants for the workers. The medical or dental care was provided at no cost or at a much reduced cost. Down time for the worker was minimized because the care was provided on site at the factory. In time, the benefits were expanded to include family members of the worker, and later medical care or dental care was provided at clinics away from the factory. The government turned a blind eye to the development of the medical and dental clinics at the factories because production steadily increased at all of the plants even with the movement of employees from one company to another to take advantage of differing health care benefits being offered by the various companies. The blind eye the government turned to the existence of these plans is how the tax exempt status of the company provided health care benefits started. With the shortage of dentists caused by the military drafting most of them, the profession turned to training of people other than dentists to do some of the tasks required to deliver dental care. Dental assistants were trained (mostly on the job at this point) to help dentists deliver patient treatment in less time. As well, clerical and administrative staff was pressed into service at the factory clinics to make sure the dentist was fully engaged in delivering dental procedures. Before, dentists had largely worked solo--even answering the phone themselves and sterilizing and setting up their own instruments. It took a shortage of dentists and big business (the aircraft manufacturing companies and insurance companies) to implement changes that would result in drastic increases in efficiency in the delivery of dentistry as well as the creation of dental insurance and other employer based payment systems for dentistry. After World War 2 ended, fringe benefits as they were termed had become well entrenched. Medical and dental plans grew to include workers in most industries, and the government continued its hands off approach.